The Quest by Wilbur Smith is apparently the fourth book in a series (that once again I haven’t read the rest of), but I didn’t know that until I read the jacket blurb to write this post. According to the blurb, Egypt is beset by plagues and the Pharaoh has summoned a warlock to save the country. I didn’t get very far at all with this. On the train I found I’d rather stare out the window than read this. I couldn’t connect at all with the characters. I think it is trying to take a mythic tone, but doesn’t quite pull it off which gives it a very insubstantial feel. 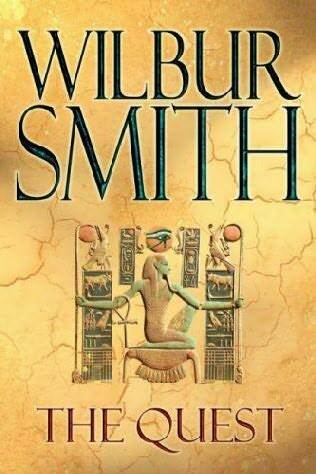 I remember reading a couple of Wilbur Smith’s novels when I was younger and quite enjoying them. This wasn’t the same at all and I’d give it a miss, unless you’re already a fan. Reading War and Peace by Leo Tolstoy was my main reading goal for this year. I spend a couple of hours a day on a train and I like to use that time constructively. Some books need a bit of time and effort, and commuting makes it easy to do that. 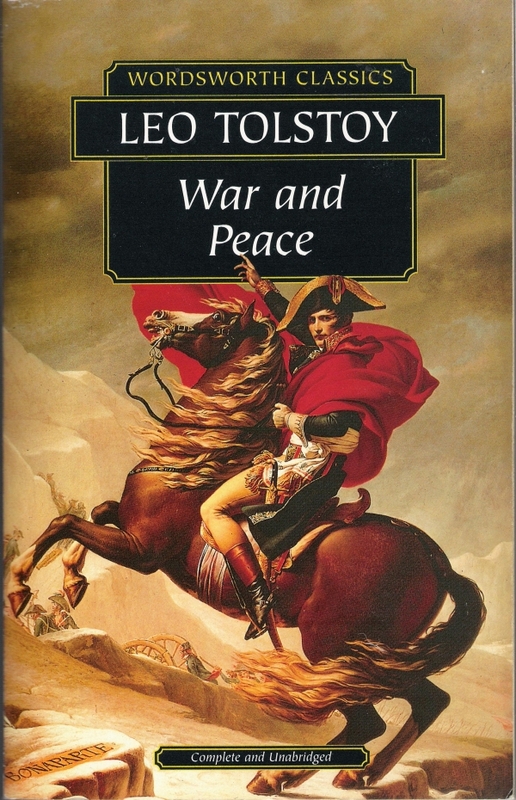 War and Peace has been pretty high on my ‘should read’ list for a long time but I’ve been put off by reports of its difficulty. Commuting presents the best opportunity I’m going to get to tackle the hard stuff. In this case, I didn’t make it. It’s 550,000 words, which is not that daunting for fantasy readers, I think. (As an aside, wikipedia has a list of the longest novels. In Search of Lost Time, I’m coming for you). To start with I was really enjoying it. It’s in three volumes and volume 1 is wonderful; easy to read, full of beautifully drawn characters and believable dialogue. Most of this part is set in aristocratic society in Moscow and St Petersburg and it is lovingly brought to life. Most of volume 2 was pretty good as well. The pace was good, and aside from the length, I was struggling to identify what was supposed to be so intimidating about it. The Peace bits were better than the War bits. The parts where the action was about relationships and society were very natural and had quite a modern feel about them, in that there was little exposition and a lot of showing things on the page. The War bits were harder to read. I wondered if this was a deliberate attempt to create a feeling of discomfort in the reader or evidence of lack of familiarity with the situation. 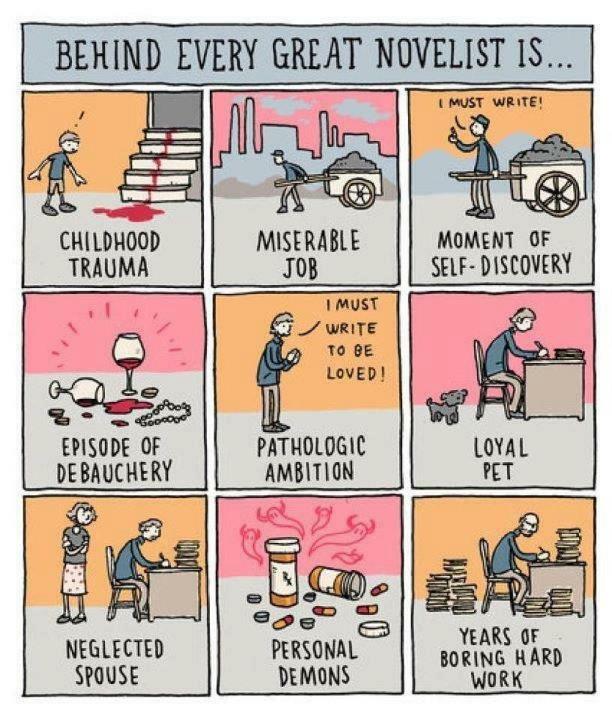 Or perhaps it’s just that a modern reader is used to more cinematic descriptions of battle. There was more exposition and less flow. I liked that Tolstoy focussed on the confusion and general wandering about of armies, rather than presenting a heroic battle. As the book goes on there is more War and less Peace. By the time I got to volume 3 there was another problem. Tolstoy stops telling a story and starts ruminating about historical determinism, fate and the ‘great man’ theory of history. All interesting stuff, but heavy going, and all the time you want to get back to the story. I got about 85% of the way through and my reading rate had dropped to about thirty pages a day (from a high point of about 80 pages a day). I stopped to read the book for my book club and found I really didn’t want to pick War and Peace up again. If you’ve ever wanted to read this book, I’d say give it a go. Much of it is brilliant. I never really understood what was meant when people talk about Russian fatalism, but now I do. Volumes 1 and 2 are engaging and enjoyable and it’s worth it just for that. I meet the criteria, why aren’t I famous yet? Maybe I should finish something? I don’t often read YA fiction because of all the adult fiction I haven’t read yet. Last year I accidentally read some and wasn’t sure how to judge it. I couldn’t decide whether it was rubbish because it wasn’t well written or it was rubbish because my expectations were inappropriate for YA fiction. 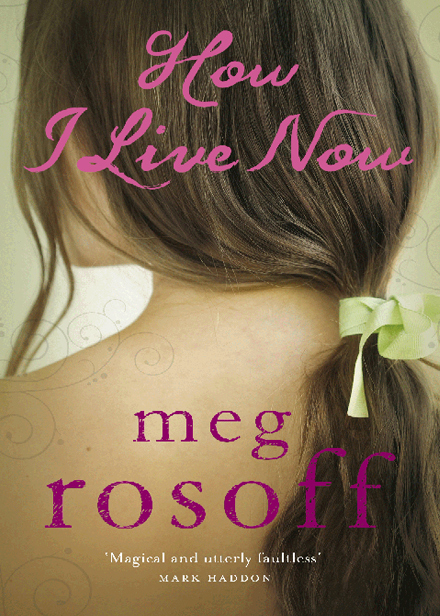 I didn’t have that problem with How I Live Now by Meg Rosoff. Daisy moves from New York to rural England to stay with her aunt as she’s having issues with her wicked step-mother. She finds an idyllic pastoral life with her three cousins and settles in quickly. Her Aunt Penn is some sort of international diplomat and never around. She falls in love with her cousin Edmond and begins to remember how to be happy. Then a war breaks out and the kids don’t really know what’s going on, except that Penn is in Norway and can’t get back. They’re used to managing for themselves and for a while life goes on until their farm is requisitioned by the army. The boys are sent to one family and the girls to another. Daisy decides she’s going to take Piper, her youngest cousin, and make her way back to where Edmond and Osbert are staying. The walk takes days and they’re hungry and dehydrated. They find the farm where the boys were staying and they’re gone, so the girls make their way home where they stay until Daisy’s father finds her and brings her back to New York. Six years later, Daisy returns to the farmhouse and is reunited with her cousins. They are all dealing with the after effects of what they went through. How I Live Now was June’s book club read and came to us via World Book Night. I didn’t expect to enjoy it but I found Daisy’s voice utterly engaging. 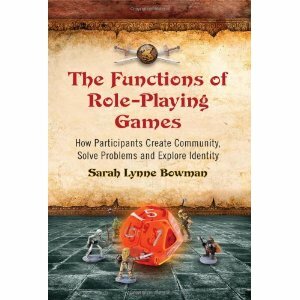 There are some hard issues dealt with them in this book and the way they are handled is very clever. Younger readers might not pick up on them but older teenagers will. The world is convincingly bought to life, although the parts about New York don’t always ring true. I found the ending a little weak, almost as if it was tagged on as an afterthought. The part where Daisy covers her years in New York after the events of the book seemed rushed and not as dense as the rest of the story. But ignoring that, the rest is excellent. I may not read more YA fiction because of it, but if I do I now have a benchmark. (For the record, what I had read previously was not nearly as good as this). I’ll be giving this book to a friend in the target demographic and I hope she enjoys it. This charming little book was a gift and is not something I would have picked up for myself. 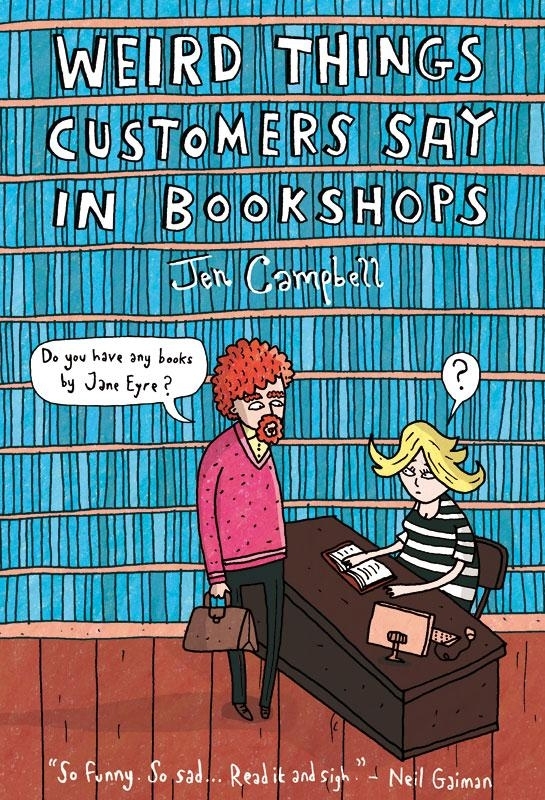 Weird Things Customers Say in Bookshops by Jen Campbell is a collection of funny things customers have said to salespeople in Ripping Yarns, the Edinburgh Bookshop and others.